Tourism Saskatoon represents nearly 400 members related to the tourism industry and works with them to attract visitors to Saskatoon. We value and support our members in tourism success - please join us in making Saskatoon a great place to visit again, and again. To be a top of mind Canadian tourism destination. We are Greater Saskatoon&apos;s destination management organization, expanding our economy through tourism. Promotion of your business through tourism publications. These include (but not limited to) the Visitor Guide (55,000 copies) and Mini Map (50,000 copies). Promotion of your business on the Tourism Saskatoon website. Training and support for our extranet “The Bridge” is available to help you with your website listing on tourismsaskatoon.com. Opportunity to purchase digital advertising packages on tourismsaskatoon.com at great rates. Discounted advertising rates in Tourism Saskatoon publications. 25% off selected Saskatchewan Tourism Education Council training opportunities. Distribution of brochures through Tourism Saskatoon Visitor Centre and to other members. 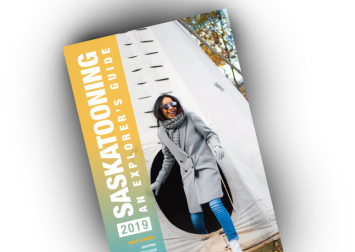 Access to Conventions Calendar, Co-Marketing Opportunities, and other important information via the Tourism Saskatoon website. Industry news through regular Tourism Saskatoon newsletters and event announcements. Networking opportunities at workshops, events, and the annual golf tournament. Opportunity to quote on Tourism Saskatoon proposals whenever possible and applicable. Voting privileges which allows members to provide direction to Tourism Saskatoon and elect industry professionals to the Board of Directors. Promotion of your events on our website and through our Leisure Marketing e-newsletter sent to over 3000 contacts. To become a member of Tourism Saskatoon please complete the Member Inquiry Form and our Membership Coordinator will contact you.